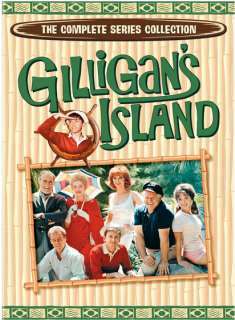 The Gilligan's Island TV show was a 30 minute comedy series on CBS about seven people who set sail on a 3-hour boat ride and got caught in a terrible storm. They were shipwrecked on an uncharted island. Each episode they would try some new, crazy scheme that they hoped would get them back to civilization but the 1st mate Gilligan always managed to goof things up. Most diehard fans will be surprised to learn that CBS executives didn't really want to put Gilligan's Island on the air all that much. It got it's time slot only because the network didn't really have anything else available that they considered to be better. Thank you for visiting our Gilligan's Island page!